What’s New in NeoLoad 5.5 ? The TeamCity plugin comes in addition to the existing Jenkins and Bamboo plugins. For more information on NeoLoad integration with other CI servers, click here. 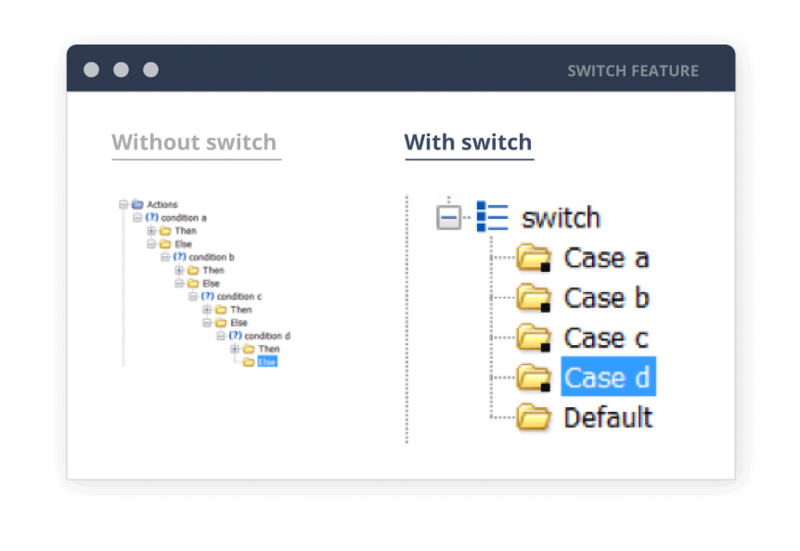 Generate a switch statement with this new logical action available in NeoLoad. This feature provides better readability and makes it easier to maintain your User Profile.